Rasbian is the officially recommended Linux distributions for the Raspberry Pi. Rasbian is based on the Linux distribution Debian, which puts a lot of emphasis on stable and secure operation. 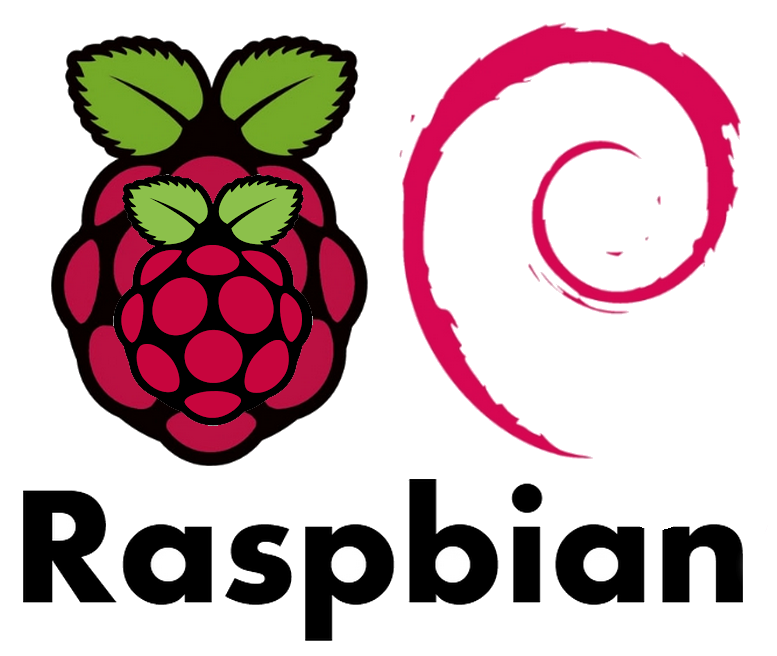 Rasbian is the officially recommended Linux distributions for Raspberry Pi. Rasbian is based on the Linux distribution Debian, which puts a lot of emphasis on stable and secure operation. At the same time, a lot of software is already delivered pre-installed. In addition, one has access to a repository (software archive) and can install many programs without difficulty. Note: Debian is a Linux distribution created by Ian Murdock based on the Linux kernel and GNU tools. Debian is popular with many administrators because of its stability-oriented release policy. On the desktop, the variant Ubuntu is relatively widespread. The main advantage of Raspbian is that the deployed images are already preconfigured, which is why the "first steps" are usually limited to the setting of the German language, the time zone and a German keyboard layout. That means that you can start immediately after commissioning. 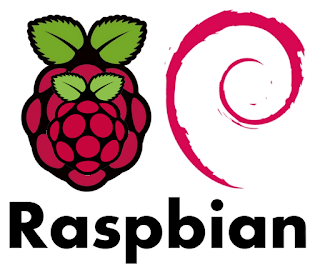 Raspbian and its repository are specially optimized for the limited resources of Raspberry Pi hardware. In addition, you do not need root privileges to use the GPIOs. And for HAT extensions, no manual installation of the drivers is necessary. Raspbian was made specifically for Raspberry Pi and has inherited the basic principle of Debian, stability. What sounds good, but also has disadvantages. The basic principle "stability" leads to the fact that with a software update not always the newest packages are available. That is, you usually get the software versions that work error-free, but not with the latest features and functions. For beginners, this is actually optimal, because in the first steps with Raspberry Pi little problems arise that have to do with faulty software. If you rely on the latest software with the latest features, then you should take a look at other Linux distributions. The first version of Raspbian was Raspbian Wheezy, based on Debian Wheezy. Many old tutorials and tutorials found on the Internet are written for Raspbian Wheezy and rarely transferable to new Raspbian versions. Raspbian Wheezy should no longer be used because it is no longer maintained. Raspbian Jessie is the second version of Raspbian, based on Debian Jessie. Raspbian Jessie with PIXEL is a regular Raspbian Jessie with the resource-friendly graphical desktop surface called PIXEL. It is started by default at boot time. PIXEL stands for "Pi Improved Xwindows Environment, Lightweight" and was released on 28.09.2016. PIXEL is not a new Raspbian, but a customized graphical desktop interface, such as KDE, GNOME, XFCE and LXDE. Strictly speaking, PIXEL is a customized LXDE. Hardly anything has changed under the hood. Raspbian Jessie should no longer be used because it is no longer maintained. Raspbian Stretch is the latest version of Raspbian based on Debian Stretch. The "Stretch" release has been in existence since summer 2017. "Raspbian Stretch with Desktop" is the normal version with the graphical PIXEL desktop, which can be used like any other graphical user interface. "Raspbian Stretch Lite" is a slim raspbian stretch. The stripped down image comes without GUI and only with the most necessary programs. It fits on a 2 GB SD memory card. Highly recommended is the stripped down image if you do not need the GUI or as much space on the memory card should be free. If you have a Raspbian Jessie installed and configured individually, you might want to do a release upgrade on Raspbian Stretch. Basically, that's possible. A release change for Debian and Raspbian will result in major changes to the software. What is meant is that almost all packages (components of operating system and applications) are exchanged. The changes in the packages often include changes in configuration files, which requires manual intervention. But that also means that after a release change, everything does not always work the way you are used to or intended. If you have a Raspbian Wheezy installed and configured individually, you might like to do a release upgrade to Raspbian Jessie. Basically, that's possible. Especially because Raspbian runs extremely stable, you should also Raspbian prefer, if you want to operate Raspberry Pi as a server. Unfortunately, Raspbian already has so many packages that you can not actually run a server with them. You can not help but bother and uninstall a large number of packages at first. Who has the choice, who is in agony. Which operating system or Linux distribution should one use? That is the question. The answer, it depends. Below is a recommendation.